Please give me your honest input/review. send your input review using the message link below. I will add it to the page. 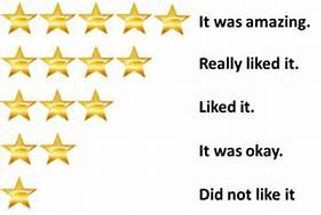 Thank you for your input/review. We will post it to our page soon as possible. 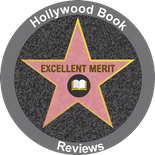 Trail of the Sasquatch, a shaman’s journey, has been honored with the prestigious award for Excellent Merit by Hollywood Book Reviews. This is based on a professional review from top specialists with exceptional backgrounds in literature of various genres. Please click on star to be directed to Hollywood Book Reviews page for Donald B. Young Jr's book. Author: Donald B. Young, Jr. In Trail of the Sasquatch, a shaman’s journey, Donald B. Young, Jr. chronicles his quest to fulfill his destiny as a holy man. In addition, Mr. Young describes the monumental contributions he has made to the catalog of Sasquatch lore, as well as the lore of other cryptids. Written in first person, Trail of the Sasquatch, a shaman’s journey opens up a world which will be unknown to most readers. Thought to be the son of a Native American man from one of the Six Eastern Iroquois tribes, Mr. Young was raised by his grandparents on their farm in Northern Wisconsin. From an early age, he had an affinity for animals and nature, and even as a young boy received visions and symbolic dreams. At the age of nine, Mr. Young came under the tutelage of an Iroquois Shaman, and he began his long journey which ended eventually with his becoming a Mide Shaman. Mr. Young recounts this journey, along with his personal sorrows and joys; his chief joy being his stalwart supporter and the love of his life, Carol. Additionally, Mr. Young’s numerous encounters with cryptids – which add enormously to the annals of Cryptozoology – are documented. Mr. Young intertwines several different threads and perspectives in his book. He tells the stories of his personal relationships, both as a boy and as an adult. He takes the reader with him on his various vision quests, and he lays down fact-based accounts of his sightings and interactions with legendary cryptids. Interweaving the various narrative lines deepens Mr. Young as a character and lends credibility to his journey. The reader follows Mr. Young on his path from a child receiving visions to being a Mide Shaman and into the ranks of respected investigators of cryptic phenomena in the wild. As a result, the text has an authority which might be missing from a book that only explores the Sasquatch storyline. Mr. Young’s approach to telling his story grounds the fantastical into the real world. Trail of the Sasquatch, a shaman’s journey is enhanced by the many photographs found at the end of the text. Mr. Young is also a talented artist, as evidenced by his drawing which graces the book’s title page. Readers who come to Trail of the Sasquatch with a knowledge of and belief in this world will find a wealth of useful information. Those who may be more skeptical will soon find themselves drawn in by Mr. Young’s authentic voice and riveting attention to detail. Format: Paperback Edition/Verified E-Bay Authors signature copy. I was hinting for months about your book to my girlfriend hoping she would get it for my birthday. She went over and beyond when low and behold I opened a wrapped box and it contained your book. Not just the standard book mind you, but one you personally signed to me. Each night in bed I sat up beside my wonderful gal and read from your book aloud, we both became captivated in the story and more than a few times we stayed up past midnight lost in your writing. I would like to meet you someday just for the pleasure of shaking your hand, and my girlfriend said she would love to hug you for the powerful emotions your book brought out in her. We do not have any problem giving your book our endorsement of 5 stars. Thank you for a brilliant well written book and thank you for signing my copy. Read your book, it took me back to my childhood. You told many things known only to our people’s elders so this made me see your words are true. I asked around the reservation if any knew the name Waabishkaa Miigwan and your name is known by some I asked, this is good and tells me more your words are true. You are a great teller of your story, your words have meaning to me and your wisdom reflects in your writing, you have powerful visions nisayenh. Ben Standing Crow is a name also known to my people’s elders, and you have great standing to me and all that knew him because you were his student. I want to give your book and you the highest rating of the five stars because you are true and your words are of the purist wisdom. This book I give a 5 star rating! I cannot remember when I read such an amazing book that covers Don's journey with both his spirituality and his connection to Sasquatch, as well as everything else in between. I could not put this book down! The photos are mind blowing & you feel as though you are there with him during his Journey. You feel as though you are literally walking beside him through it all. I highly suggest this book to anyone looking for a wonderful and insightful read, and also to maybe find the answers to questions they might have about the contents of this great book within. One modern person trapped between the power of ancient Native American Beliefs and the Modern World. This book is an autobiography. of a man who was tutored by an old Indian Shaman when he was preteen to teenager. He witnessed the power of those beliefs. as his teacher and he himself was able to heal people that modern medicine could not.. The author seemed sort of half taught by his teacher about the power of his ancient beliefs when his teacher passed away. Mr. Young seems kind of trapped between the modern world and the world of his teacher a Native American shaman. He witnessed things that points to the power of those old beliefs but does not seem to completely embrace those old beliefs. He had encounters with the sasquatch since his youth HIs Native teacher seemed to regard sasquatch as a spirit and seemed to have a deep understanding of how it would act and why. These beliefs just do not translate very well to those of us in the Western, Modern world.. As he got older Mr. Young continued to have encounters and joined the BFRO and their efforts to prove the existence of Sasquatch. I believe Mr. Young is telling his story as honestly as he can. I don't think he really understands it all and neither do I but I think he is doing his best to tell us his interesting story.. The book is worth reading if you can accept that there are things out there in the world that occur that we cannot really explain and you are interested and open to ancient spiritual beliefs. 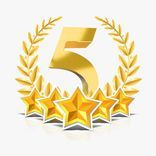 I chose five stars because the book is well written and captivating. Donald's words remind me that relationships, when and how they conclude, how we respond, and what we take from them is what defines us. I sometimes wish God was not so particular about what he wants us to become. But then, it's because he loves us so much. I recommend this book to all who ponder life's great questions. Wow......what a joy to read!! Highly recommend! I wish I would have bought the paperback version for all the amazing photos. The kindle version has the photos, but I am sure they are better quality in the paperback. The book is well worth the money. The author has had quite an interesting life. I enjoyed every page. He has had more than enough losses in his life, yet still manages to soldier on and help many other people with their own tragedies. It is encouraging to know that he stands firm to his beliefs regarding Sasquatch and other controversial subjects including his shamanic gifts of healing. Many others in the world of Sasquatch research only want to acknowledge a flesh and blood animal so they can be accepted by the great "Bigfoot Research Groups". Some of us can care less about these groups and only want to hear the truth. There is so much more to these beings than just a dumb ape left over from prehistoric times. They are highly intelligent and have capabilities beyond our understanding. Thank you Don for being one of the few who want to teach the truth. You don't need MM or anyone else. But they certainly need you. Donald is a natural writer. He just sort of casually pulls you in until you find yourself not able to put his story down. Very well done. I think this book is a "must read" for anyone interested in this field. Thank you, Mr. Young, for your time, effort, and spirit devoted to this book. This is not just another story about Sasquatch, but one man's life journey from boy to man. His life's trials, tribulations, and success. I truly wish the story never ended and look forward to his next book. I didn't see any embellishments or vanity. I too am interested in learning about this being. I have heard tree knocks in the woods behind my house but have not had any experiences like you describe. I think I would rather read about your experiences than have them myself. So real, so well written! Just finished the last chapter and this was a book like no other. I am going to read it again, slowly, and let it totally absorb into my mind. Like a great movie that can be watched over and over again, this book has that characteristic appeal. My recommendation to others of this book is high, 5 star, a must read! This was a very interesting, well written story, about a hard to believe subject for most to understand. I had a hard time putting it down every time I started reading. I have read 121 other books on this subject of sasquatch, and this is in my top 10 for sure. I am from WI though, and am familiar with that part of the state. I have been on 27 BFRO expeditions in the US and Canada, and at first felt this was only a PNW creature but have since experienced other wise, especially in WI and the UP of MI. Thank You So Much Don for Sharing your experiences with us , and truly best of luck with your wood land friends! A very unusual book, with more than enough excitement to wet any adventurous readers appetite. This true tale had many riddles in vision or dreams that pulled at my imagination, with the authors own speculations for meaning. Very well put together literature, with no jumping around or repetition. An easy to follow platformed progression of the authors life from childhood to adult, capturing the story in a cinematic series type flow. Many things in this book I could relate to deeply, and felt the authors pain in his writing. A story of mixed emotions, pain, happiness, love, hate, fear and spiritual religious question. and ranking it as a true hybrid. Kept my interest chapter after chapter, this is not a book that readers want to jump or skip pages and chapters or they will miss relevant parts to the story. A good book, I liked it. Your book is now in my top five. My collection of Sasquatch books from numerous authors is very large, and your book was not at all what I expected. Completely out of the basic similar from the rest. Your book had a story line to it, and not a boring research slash scientific perspective. Instead your book took on a friendly home style approach folded together as an easy to follow development into the field of Crytozoology. I wish more researchers used your methods or had a compassion for the forest as you. I've known Don and his wife Carol for years now. I am certain some people will suspect my review of his book bias because of our friendship. None the less, I am an honest person and our friendship has no influence on my opinion of his book. Don had helped me through some trying times with my cancer, so I know he is a great Shaman, but I had no idea he was writing a book for the last few years. When he told me of his published book, I immediately bought a Kindle copy and dove into it with unchained interest. His story was riveting, and although I do not believe in Bigfoot, Don made a good case to consider their existence, with many pictures to back his claims. My main interest in his book was the training he had and healing as a Shaman, this part was very enjoyable to read. His words had a certain poetic feel at times, then serious or joking to break up sadness. I enjoyed this book, and give my recommendation as a well written publication. Fricken awesome dude!!! I ordered a Kindle version because I didn't want to spend 44 bucks on the paper version. But now after reading it, I am going to order the book. Remarkable work, some fantastic visions described and the dreams were out of this world. Mr. Young's family life was filled with adventure and many heart breaking times that would crush many people faced with similar tests of life. In the book Mr. Young says he may write another, I sure hope so, because this one, was the best Sasquatch related book I've read. His research taught me so much, and makes me want to head right out into my nearby forest to try his techniques, even though he warns against trying his methods. I thought at first the 45.00 spent was to much for a book, but after reading it, this was a good investment. As with CJ, I found the 1st proof of Donald's book he allowed us to preview a pleasure to read. The publication had a couple minor clerical errors , but nothing to take away from its compelling story. I am not one who believes in Sasquatch, but Donald's research and tactics had me on the edge of my seat. Mr. Young really had an interesting life to say the least. I have not read many books, but I do have an interest in supernatural events and Bigfoot, so I gave this book a read. Truly fascinating! Once I started to read I could not put it down. It had parts that made me cry, laugh, shake in fear and amaze me with the dreams or visions this author explains having. The photo's in the book were very interesting and got my mind to really question my past skepticism about Bigfoot. When I finished the book, I must say I was sad, I didn't want it to end, it was that intense. I strongly recommend this book for anyone interested in true life stories, shamanism, or supernatural, or Bigfoot.